Floods and landslides triggered by monsoon rains in Nepal have killed 54 people over the last two days, an official said Wednesday. 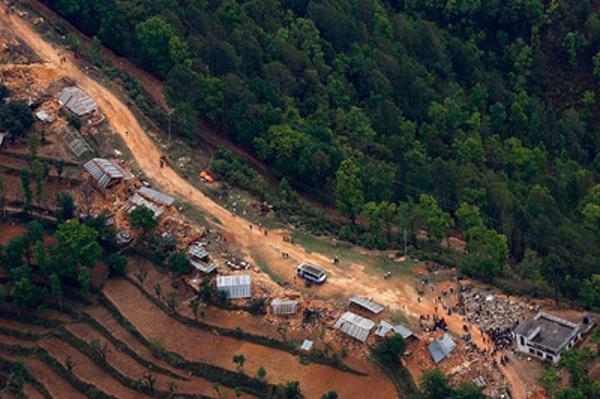 At least 20 people are missing, said Home Ministry spokesman Yadav Prasad Koirala. The government has launched rescue and relief operations in 14 of Nepal's 75 districts that have been affected by the floods, he said. Hundreds of people have been displaced after swollen rivers breached their banks and flooded homes. Soldiers and volunteers used rubber boats to rescue people marooned by the flooding, while helicopters were being used to drop food supplies. Koirala said that the situation was serious in eight districts and that road links to some areas were cut by the flooding. Water levels in some of the major rivers were close to dangerous levels, posing a threat of massive flooding and causing panic among the local population. Tens of thousands of Nepalese are still living in tents following a set of devastating earthquakes that hit the Himalayan country last year.